More than 90 percent of U.S. travelers do not know their rights when it comes to airline compensation, and of those that do, it takes them a long time to file a claim. A recent study of many of the largest countries around the world found that Americans rank as the third-worst procrastinators for compensation claim filing under European passenger law EC 261. 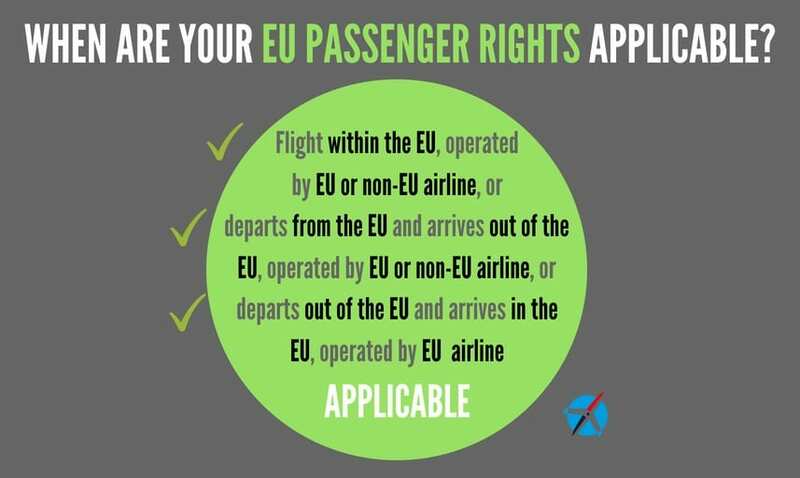 EC 261 protects passengers who have experienced lengthy delays, cancellations or denied boarding on all flights departing from the EU, or those flying into the EU on European carriers. On average, travelers from countries like Portugal, the Netherlands and Austria file claims within 34 or 35 days of a disruption, whereas Americans typically wait 52.3 days. What are travelers’ rights under EC 261? Passengers may be entitled to financial compensation of up to $700 per person in certain instances of delayed or cancelled flights, or when denied boarding. What’s more, the reason for the flight delay must be caused by the airline, and not due to an extraordinary circumstance beyond the airline’s control like weather, medical emergencies, or terrorism. How can U.S. travelers file claims? Travelers who experience flight disruptions can file claims directly with the airline. How does each country stack up? Travelers from countries in the EU typically take less time to file claims, which may be because EC 261 is a European law, so more people may be aware of the protections it provides. Canada, Norway, and the United States rank as the worst procrastinating countries; the full list of average claims filing times is below.